Until fotoLibra Version 6.0 was launched in December our site didn’t actually say that we sold images — we just assumed that people would know. It seems not everyone understands. 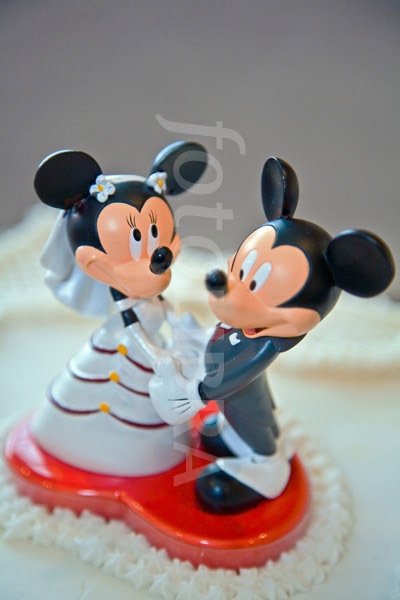 In November we sold usage rights in a photograph of a wedding cake decorative topper — Personal Use (One-Off) — to a lady in the mid-Western United States. We looked at each other in horror (although I could barely suppress a grin). She had bought image usage rights when she thought she was buying an actual item. I was flooded with pity, because I could put myself right in her place. I knew just how she was feeling. But we’d already paid the photographer for the sale. We could hardly ask him to give the money back. So we tactfully explained the situation to her, that we were a picture library (US = Stock Agency) and not a fancy goods retailer, that it was clearly pointed out on the website, and that she now had the right to get this picture printed out as a huge poster and stuck on her wall. She accepted the situation. We get regular calls from gentlemen with thick, impenetrable accents who are interested in the derelict petrol stations you can see on fotoLibra. They’re not interested in images of them — they want the actual sites, and they rumble threateningly when we try to explain we only sell pictures of the sites. The nadir was reached when one man rang up to order some bollards. Once again we patiently tried to explain we sold images of bollards, not actual bollards. The enquirer was an Englishman, with a fluent and rapid command of the language, albeit with an extremely limited vocabulary. He informed us at length (in Neville Shute’s terminology) that we were Fugging Muggers and also, weirdly, Bunts. The invective was foul, sustained, vicious and a total waste of time. God knows what he was planning to do with the bollards once he got hold of them. We had a satisfying, if impractical, suggestion for him. I’m really very sorry for the Mid-Western US lady and her wedding cake decorative topper. But we shouldn’t have to pay for other people’s mistakes, even a small amount. And after Chris Holifield of the Writer’s Services website pointed out that we didn’t say what we did, we rectified it. Now fotoLibra.com introduces itself with HOW TO BUY IMAGES | HOW TO SELL IMAGES. No more confusion then. Thank you, Chris!